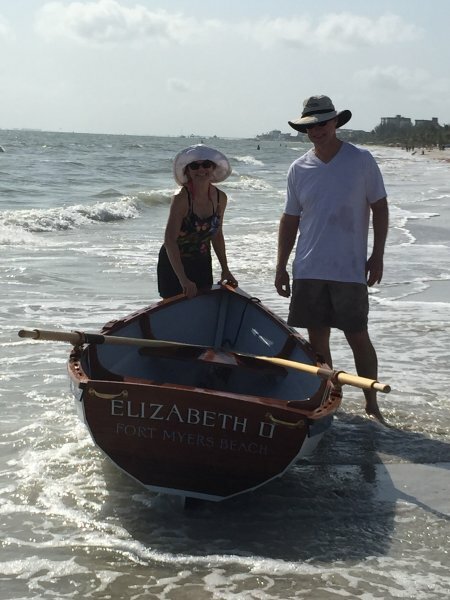 The Elizabeth II is a lovely Chaisson Dory, built in a glued lap plywood construction finished in mahogany. 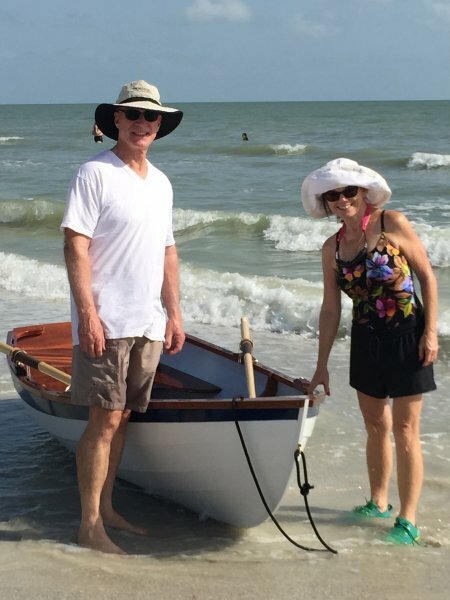 We were commissioned to build this sweet rowboat for Douglas and Elizabeth Eckmann of Ft. Myers Florida to row and play around in the waves, which she does admirably. 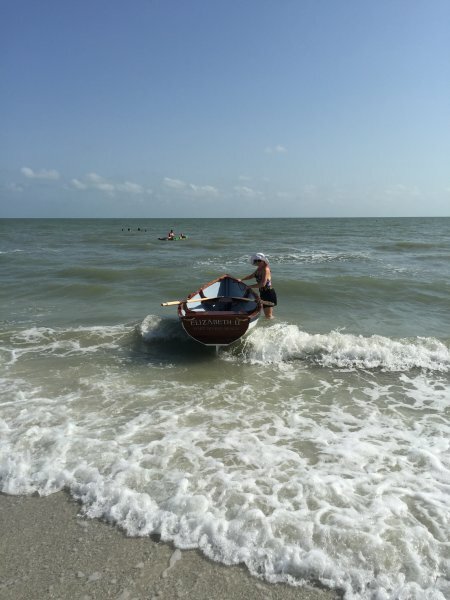 John Gardner had this to say about the Chaisson Dory: They tow beautifully, row and handle well and have exceptional carrying capacity and are fine sea boats. In addition they are strong and rugged...great for landing on a beach.